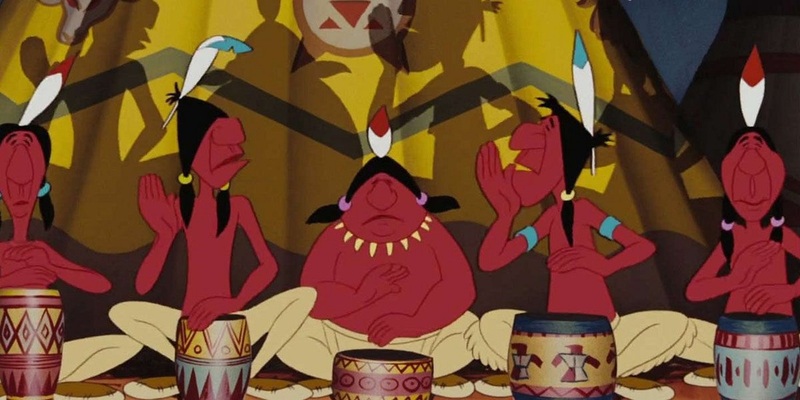 Disney's animated feature "Peter Pan" (1953) -stereotyped "redskins" singing "What makes the red man red?" Movies produced under the aegis of Walt Disney himself remain the source of a heated cultural debates about the depiction of gender and race. Some accuse Disney of portraying racial and sexual stereotypes (carefree but lazy African-Americans, complacent home-making girls and women, slit-eyed, unscrupulous Japanese etc). Thus the depiction of Indians in 1953's animated feature Peter Pan: very red, a bit foolish and simple. figures of fun. 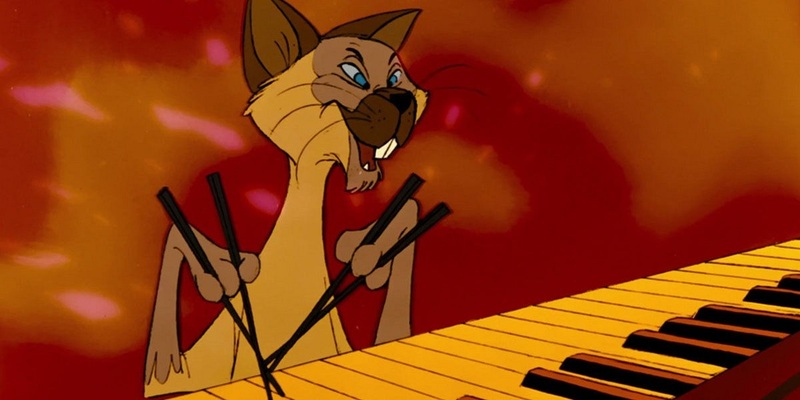 So great was the controversy over racist depictions that one of the most innovative and interesting of all Disney's movies, Song of the South, has for decades been completely withdrawn from circulation by the studio. Although the movie contains one of the most famous and best-loved of all Disney songs (Zip-a-dee-doo-dah) Disney was so horrified by accusations that the depiction of the central African-American character was racist and patronising, and that the movie showed an idealised view of life in the South and of the treatment of blacks there that he refused to reissue Song of the South in any format. But recently Disney movies of the post-1945 decades have been praised for having a more progressive and liberated attitude than he has been given credit for. One of the strongest arguments for this new attitude is the positive presentation of Indians in Tonka, and its explicit condemnation of racist- genocidal policies of the U.S. Government. (see below). Admittedly, the main Indian characters onscreen are portrayed by non-Indians (e.g. Mineo), but it is staggering shift in perspective to have audiences cheering for the Indians during the Battle of Little Big Horn, and to have Custer portrayed as a menace to humanity. Indians are also depicted with some subtlety in another now-forgotten Disney movie from that era, 1958's The Light in the Forest. Set in 1764, the movie interestingly anticipates some of the themes of John Ford's classic The Searchers. The central character is True Son a white teenage boy who has been raised since infancy by Delaware Indians who have just signed a treaty under which they release their white captives to be returned to 'civilization'.